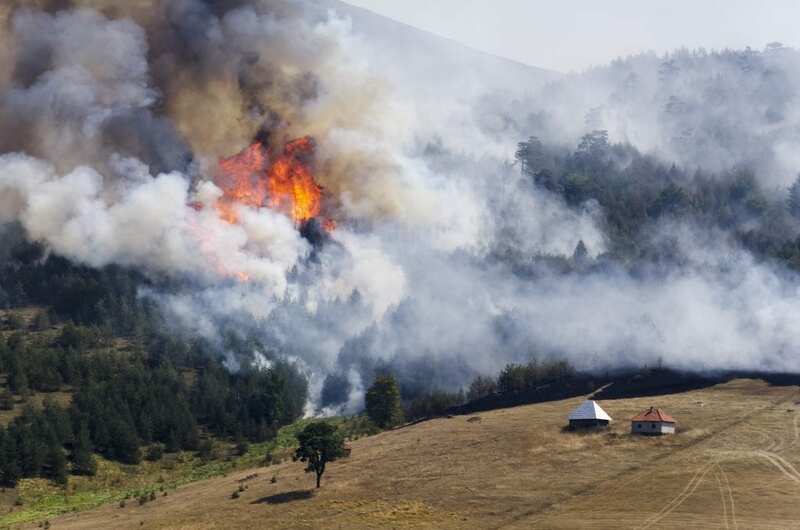 BC Wildfires- Is Your Home in the Okanagan Protected? The summer of 2017 has officially made it into the record books in British Columbia, but it was not a record many residents were hoping to surpass. This year has brought the worst wildfire season BC has ever experienced on record. Hundreds of millions of dollars have already been spent fighting the raging fires. At its peak intensity, more than 45,000 individuals had to be evacuated from their homes, thousands of others affected by the massive swaths of smoke that cloaked the province. The good news is, the number of fires has been steadily decreasing and the majority of evacuees have been able to return to their homes. We often forget that wildfires are a natural part of British Columbia’s ecosystem. Wildfires reignite the landscape, recycling nutrients as they clear out dead trees and decaying matter. A natural fire will remove thick growth and underbrush, allowing sunlight to penetrate through the canopy, encouraging the growth of native species on the forest floor. This clearing and revitalizing process is vital in the creation of habitat that the wildlife of BC requires. As we continue to expand our communities into forested areas, the chances of BC residents being affected by forest fires steadily increases. Living in a beautiful location comes at a cost, no matter where you reside in the world. A coastal home in Asia must watch for tsunamis. A ranch in the Kansas knows all about the destructive power of tornadoes and a vacationer in Miami should avoid hurricane season. Here in British Columbia, wildfires are part of this magnificent province we call home and will continue to occur in years to come. There is a lot of confusion around this topic at the moment. Many individuals believe that the expenses resulting from “Acts of God” will not be covered under their insurance policy. This is usually not the case. The majority of insurers will pay for damages resulting from many natural disasters under normal policies, including wildfires. There is one crucial action you must take to potentially save thousands of dollars in the future- know your policy inside and out. Be aware of what you are covered for and where you are financially vulnerable. As a residence of British Columbia, especially in the Okanagan Valley, you should consider adjusting your coverage to potentially include protection from wildfires, flooding and earthquakes. The provincial government of British Columbia has created a fantastic manual for homeowners to follow, which will decrease the likelihood that a wildfire will damage your home. Follow these four steps to keep your Kelowna home fire free. Clear away all dead plants/grass, debris, and woodpiles from around your home. All these items will act as kindling for any embers that have drifted to your residence from a nearby wildfire (active embers can travel up to 2km and still ignite in that location). If you require a woodpile on property, ensure that it is in a fire safe container or covered with a fire resistant tarp. Utilize fire resistant materials whenever possible in the building of your home and other structures on property. Wood shakes, wood/vinyl siding and wooden fences will all act as a pathway for a wildfire to reach your home. Consider class A, B, or C roofing options such as metal, asphalt and clay when possible. If you have fencing on your property, ensure that it is not directly connected to the home. Divide your property into three zones. The first zone is within 10 metres of your home and should be a fully fire-resistant area. There should be zero materials in this zone that could easily ignite. Don’t forget to check your eavestroughs for leaves and needles! The second zone is the area 10-30 metres away from your home. Here you should look to thin out and prune all trees, especially coniferous species, aiming to have each tree at least 3 metres apart from each other. This will discourage fire from jumping tree to tree as it attempts to spread toward your home. Also do regular walkabouts in this zone and pick up any fallen branches, dead grass and fallen needles from the ground. The third zone is 30-100 metres from where you live. Not everyone has a property of this size, but if you do, you can look for opportunities to create a fire break or gap in the growth in this area. This will drastically help keep fires from spreading to the zones around your home and could be the difference between a close call and devastation. If you keep these four points in mind around your home, you and your family will be much safer the next time a wildfire breaks out near Kelowna. The Cherry Lane Homes Team is fire conscious and always keeps fire safety in mind when designing and building homes for our customers. 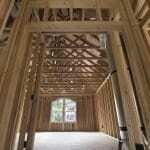 To learn more about building a home in a fire-safe manner, give our team a call today and start the process of designing the home of your dreams. convinced I ‘d agree, however the post shocked me. Great task! What an interesting perspective. I ‘d never considered that in the past. Link exchange is nothing else however it is only placing the other person’s website link on your page at appropriate place and other person will also do similar for you.